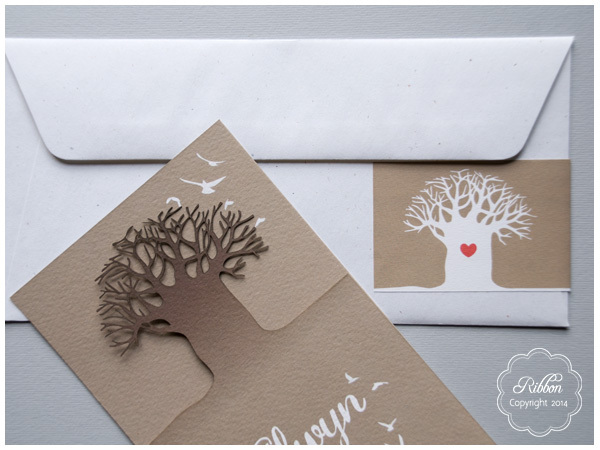 Wedding Woohoo | Trends, ideas, creations and thoughts from Terry Parenzee, owner of Ribbon Creative Studio in Pretoria, South Africa. 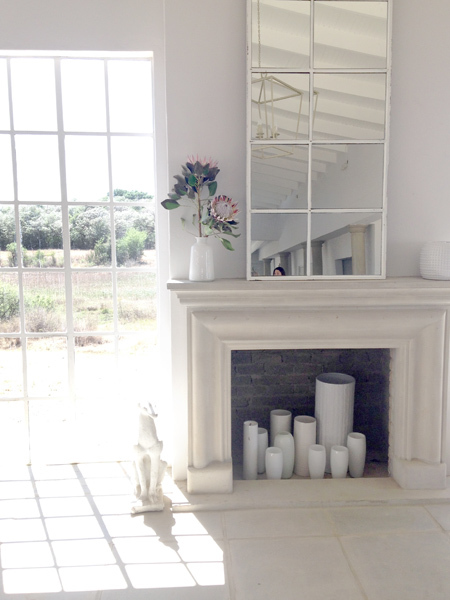 Yesterday I attended the launch party of The Forum Company‘s new venue – White Light. It’s situated in Lanseria, great for guests who fly in via the Lanseria airport. 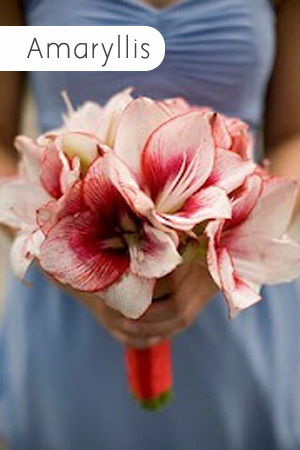 The venue is situated on a plot with lovely natural surroundings. I love a venue that has modern, simple architecture with natural light and beauty. White Light is exactly this – a clean white canvas with a few carefully chosen details and decor aspects to add interest. As a decor co-ordinator I often feel limited by existing over-powering decor that one has to work around or camouflage. White Light provides the bride (and decorator) with a fresh palette that will support whatever her style or theme rather than determine that style. 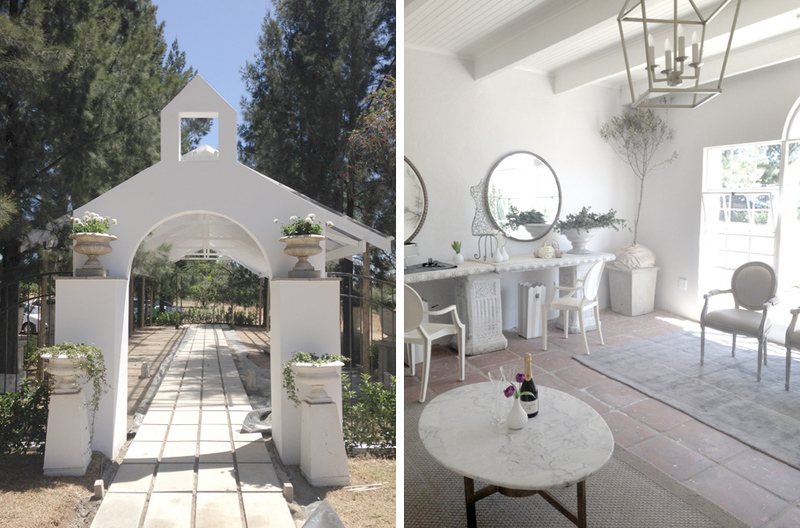 The venue is divided into two main structures : The reception hall with it’s high ceilings, big windows and two large patios and the chapel; an airy open-sided canopy amongst the pine trees. There is also a lovely bridal suit alongside the reception area for the bride and her retinue to get ready in and pop into if she needs a touch-up or breather during the night. Being part of the Forum Company who also own the established venues, Turbine Hall and The Campus means that you can have faith that co-ordination and catering has an existing standard of excellence. Here are a couple more shots I took at the venue. Two Friday’s ago my usual workspace view was replaced by blazing grassy farmland and distant tumbling hills of Lydenburg. 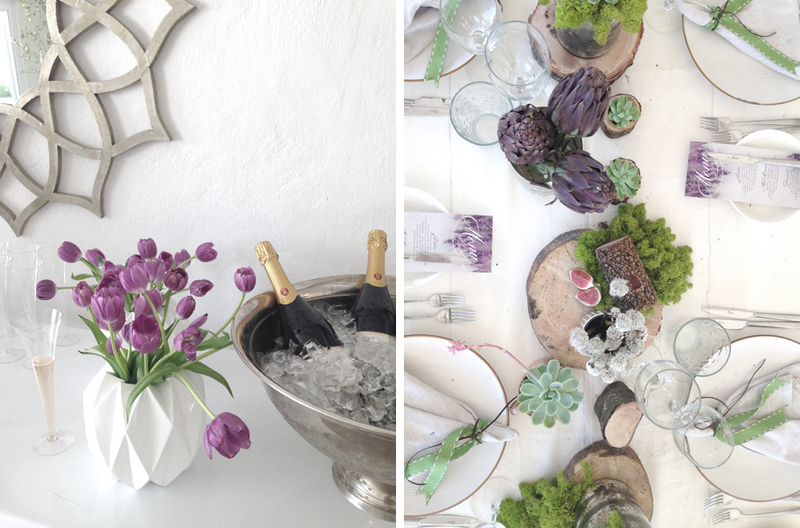 One of my closest friends hosted her merry nuptials at The Cowshed and I had the honour of creating her floral features. We arrived late morning the day before the wedding to get stuck into work early and were greeted by the friendly coordinators Ann and Diana who were busy preparing the famous shed. It was a dry, hot day but Tammy the bartender kept us (and the flowers!) going with jugs of iced water. 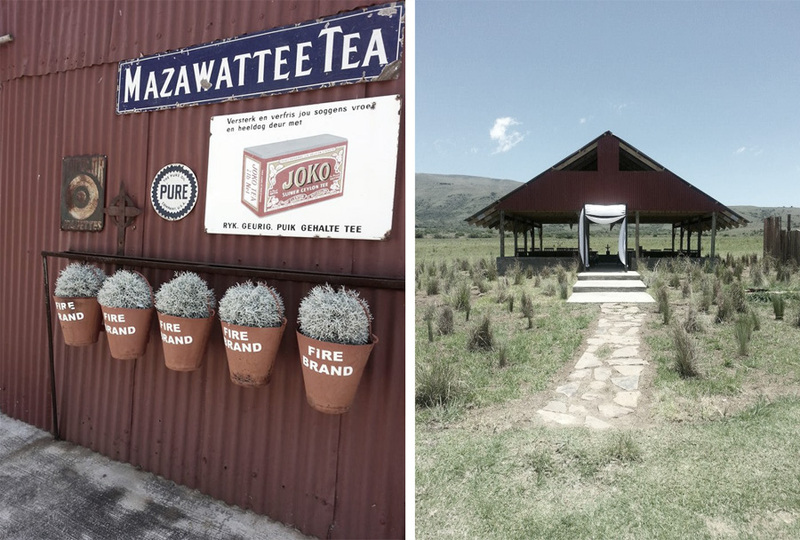 If you’re looking for a farm style wedding that’s out of the Gauteng cities, (but not impossibly far) the Cowshed is one of your best options. The surrounding landscapes are magnificent and the venue is simple but filled with charm and personality. 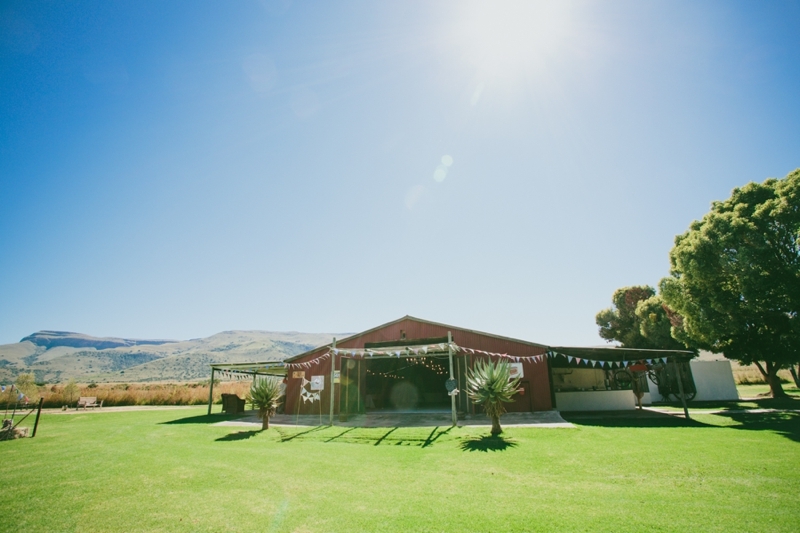 The shed, where the reception is held is the perfect rustic canvas for brides to continue with farm-style decor or glam it up with modern chic styling. 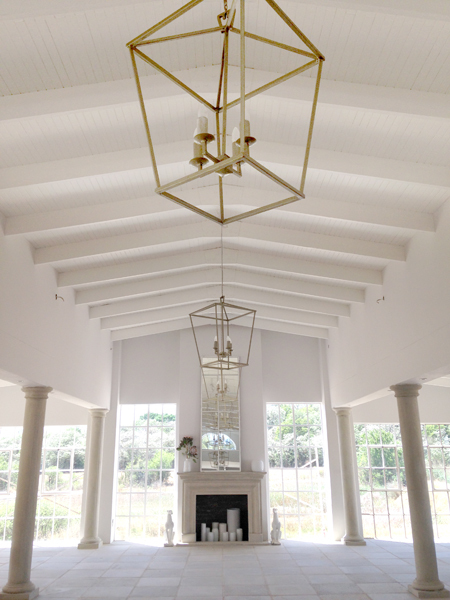 Earlier in the year, the construction of an open-sided chapel was completed. The style of the chapel matches perfectly with rust red of the corrugated iron shed and has an unspoilt view onto the mountains. My favourite aspect of the venue is the accommodation set-up. Hosting a wedding out of town allows for making a weekend out of the event. 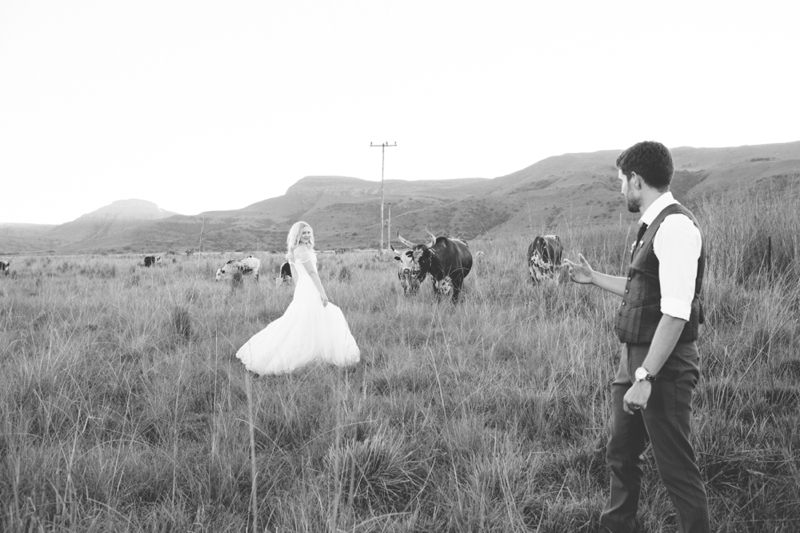 The farm has three main accommodation houses – perfect to set-up the groom and his entourage in one house and the bride and her crew in another. The houses have fully equipped kitchens, lounge and dining areas as well as large patios and boma areas. 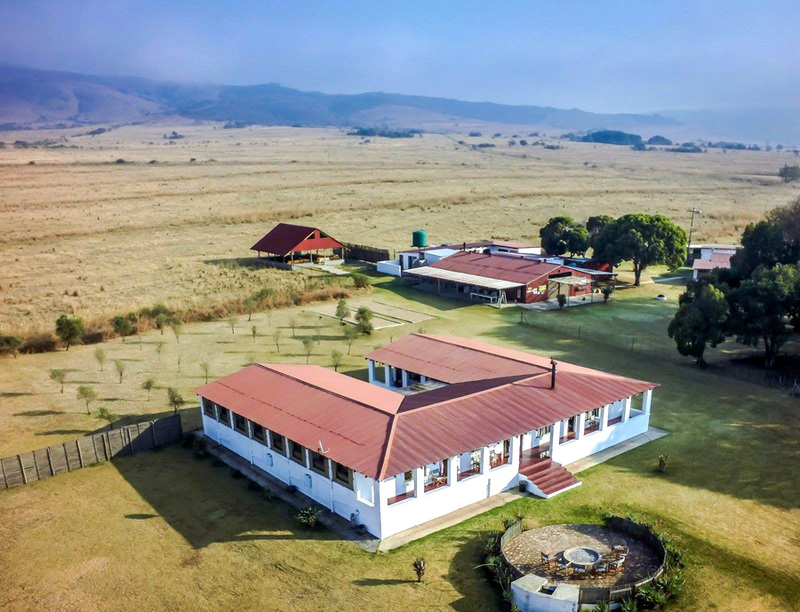 You have the option of doing your own catering for your stay so get the groomsmen stuck into braai-ing the night before and the favourite aunties to cook up a breakfast the next morning in the farm-style kitchen. My husband and I stayed in the boarding house with the bride and her family – chats at the breakfast table and being around while the bride had her make-up done on the patio really added to our memory of the wedding. Keep a look out for my follow up post with some professional photos of the wedding and the beautiful flowers we did for the day! Hi there! My name is Terry Parenzee. That’s me up there taking a photo with an old camera of pretty flowers I arranged. 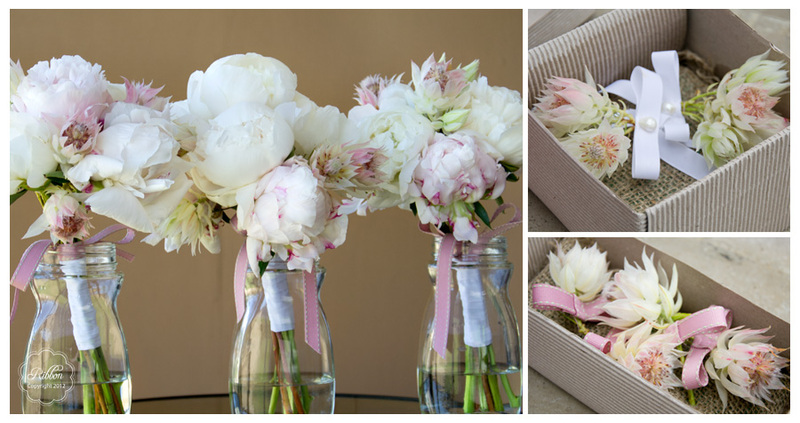 I’m the owner of Ribbon Creative Studio – we offer the services of stationery design, floral design and décor styling. 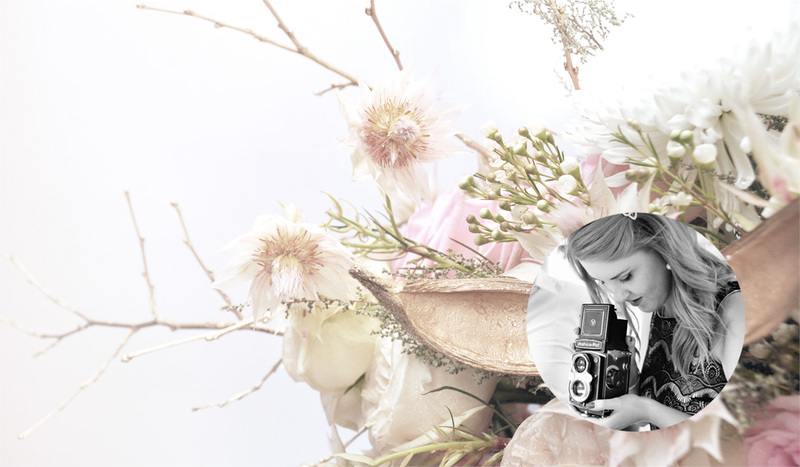 I originally created this blog in 2011 to share my planning experiences as a bride-to-be as well as share the work I was creating in the business. Being a part of the industry makes me wide-eyed and bushy tailed for all of the bits and pieces that make for these memorable days. Having been a part of the wedding industry for over 5 years,I have developed a perspective on styling, design, planning, trends and toils… what I like to call wedding woohoo. My blog has continued to be a place to showcase the studio’s work but also to share my finds and fascinations from a creator’s perspective. Being kept so busy in the business, it’s hard to find the time to keep an updated blog. As part of my effort to do more regular entries, I refreshed the design of the site in the hope that it will inspire me (and of course, you!) to visit it more! Drop me a comment below and let me know what you think of the new look.